Kalahari Books - The last Pre-Raphaelite: the life of Ford Madox Ford. Home Kalahari Bookstore Biography The last Pre-Raphaelite: the life of Ford Madox Ford. 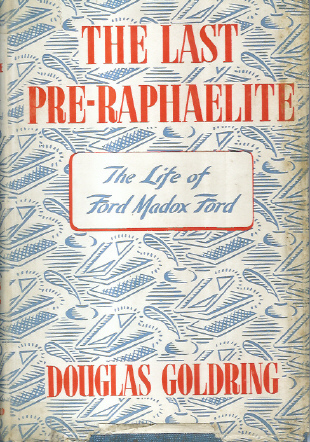 Biography The last Pre-Raphaelite: the life of Ford Madox Ford. First edition with green cloth covered boards and an embossed red and gold spine title. There is foxing on the botom of the boards. Owners stamp on end papers. The dust jacket has edge creasing and tears, an foxing along the edges.